You’d have imagined that most traffic referrals to the rest of the web would come from Facebook or Twitter, or both combined. However, it is StumbleUpon that drives over 50 per cent of the traffic to the rest of the web. The social media site offers a great way to get people to link to your site for both comment and subscriber numbers. The site, which has recently surpassed its 25th million clicks, tracks over 3 million sites. So, with this popularity in mind, how can you orientate your business to make the most of StumbleUpon and increase your web traffic? If you’re not familiar with the site, it is essentially a social media bookmarking site. People connected to the site click on very specific types of topics and categories they wish to come or stumble across. They then click on the ‘Stumble’ button and the site sends them to the sites to that effect. If they like the site they can give them the ‘Thumbs up’ button to like them and share them or comment on them. 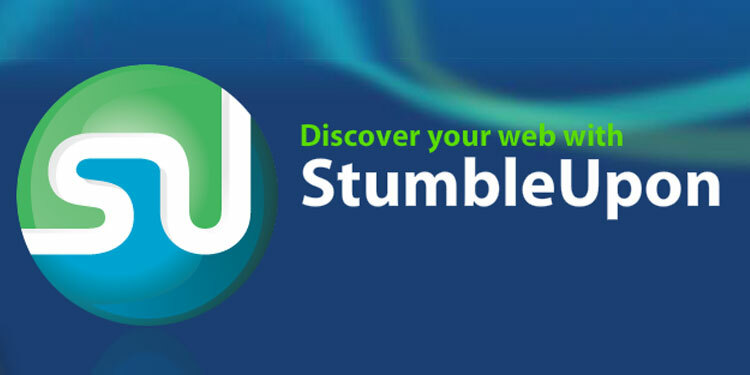 The first thing to do is to create your own Stumbleupon page. You receive your own URL and then personalise your subscription with a brief description on the page and then tag it to suit your needs. Personalising your page is of optimum importance. Telling people who you are creates more transparency and will lead to more people clicking on your page. Fill out the ‘interests’ and the ‘general’ sections to do this. Pick a memorable profile picture so people can remember your profile at a glance. Join groups that interest you. This allows you to not only see what you want but by joining from one to 63 groups, you contribute similar pages to Stumbleupons engine and if the page relates to the groups you’ve joined it is sent to these group members. The social aspect of Stumbleupon allows you to friend people who have similar interests. This obviously builds up the social media aspect of Stumbleupon and allows you to exchange what you’re doing with them. Keep an eye out for what’s hot in a specific topic. This allows you to ensure you create something that is timely and interests people. community will be. The more screen time you have and the more apparent your profile the more people will give your pages ‘thumbs up’ and the more likely you are to appear on other people’s pages. Your page itself should be creative and have a creative title. The content should be of good quality but essentially a creative, humorous title that offers something relevant and informative is a large part in getting noticed on the site. When people see your site, it is also good to have a nice clean design so they can see exactly what they are looking at when they click on it. This increase ‘Thumbs up’ on the site. As pictures and video are excellent quick food for thought and most Stumbleupon users just browse and click for instant gratification. These media forms can offer a great way to increase traffic. As we’ve said Stumbleupon is a great way to increase traffic and these tips should help and give a better understanding of how to make the most of the site. Stumbling already? Link up with us here and we would love to hear your Stumbleupon opinions and tips via our comments section.